Close your eyes. Imagine you're stuck on a deserted island for a year -- yes, in this situation, a year is a certainty. 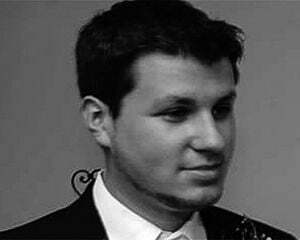 If you could only have one game with you for that entire period (and have a working power source, bear with me), what would it be? I'm willing to bet that many of you out there would choose a Warriors game. They're just so reliable, and if you really tried to go for everything, it might even last you that year with some moderate exercise. 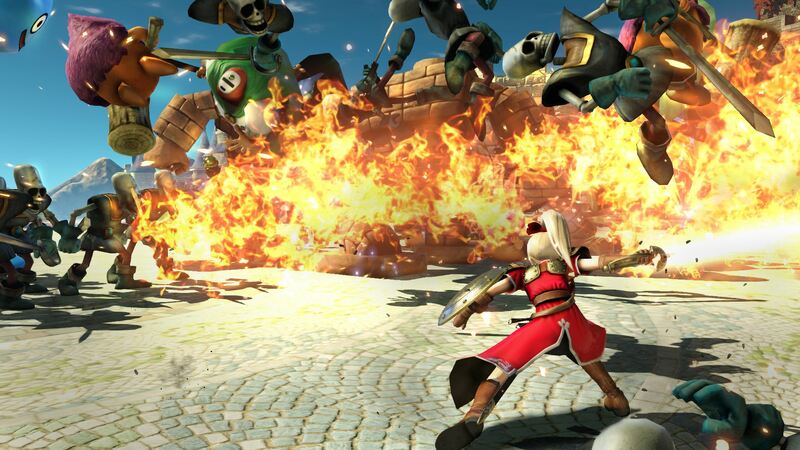 Dragon Quest Heroes maintains that legacy of endless play, but at the cost of some utility. Following a very cool opening cinematic, you're greeted with the same iconic designs from Akira Toriyama that we've all come to love over the years -- yes, this might be an Omega Force game, but it's still a Dragon Quest joint. The visual style has translated excellently to this new endeavor, and although I'm sure some will find the realistic regalia meshed with bright goofy enemies jarring at times, it looks even better in action. It's great to see the timeless designs for enemies like the skeletons and slimes still hold up. There's also a lot of detail present, such as the aforementioned skeletons taking off their heads, or golems losing their bricks at times. The writing and story however, are very basic and not indicative of the typical Dragon Quest experience. There's plenty of fun puns (a slime says things like "Goo and help him" a lot) so it is charming, but the dialogue itself never really has any chance to evolve from start to finish. What you see in the first 30 minutes or so is what you get, and it follows the same sort of heroes' "ragtag band" journey schematic throughout. It is a hack and slash game after all, but I expected a bit more. Getting right into the action, players are presented with two control schemes -- one is a standard Warriors setup, and the other literally allows players to mash one-button combos with ease. Given that you can choose between these and a male or female main character to start, new players will relish how easy it is to acclimate. Said combo system takes its cue from Warriors in that specific rotations of light and heavy will lead into new moves (such as a wave-clearing area-of-effect or a vertical launcher), but there's more variance here than meets the eye when it comes to weapon nuance. For instance, swords can parry, staffs impact a wide area, and then there's all sorts of outliers like boomerangs, fisticuffs, whips, axes, bows, deadly fans, and magic. If you're curious, yes some fan favorite characters pop up, ranging from heroes who appeared in Dragon Quest IV through VIII. Players can also block, make use of a fully-featured jump (not just a useless hop), and utilize a rather generous dodge in addition to the classic Musuo power mode after charging up. Due to the exaggerated nature of the dodge, it makes the proceedings a bit more action-oriented than a lot of games in the past, and leads to a less rigid style of gameplay. Plus, using Musuo mode when combined with Toriyama's designs basically turns you into a Super Saiyan. You can also get more advanced with air dashing, double-jumping, summoning minions (which can go into offensive or defensive mode), party member toggling, and queuing up spells both in combat and in non-action sequences. As for the AI who follows you into battle (there's a real-time party switching element with L2), not enough work was done considering that it's a rather essential element. The AI is mostly involved with the battles at hand, sure, but they tend to loiter far too often, and it can take you out of the game. Maybe it's to actually entice you to switch more often to fire them up, but I wish there were a Gambit system of some sort that allowed you to control their general actions. It's not just the party system that makes Heroes feel like a real RPG though, as the game sports a world map, a pretty deep stat and customization mechanic, skill trees, and shops. You're free to upgrade your armor, magic, and items, and visit the alchemist to create and synthesize new gear. Players can also chat with their party at the bar, use the church to pray and save the game, and eventually get an airship. The sidequests feel right at home and like an authentic Dragon Quest game, and trophies reward players directly -- a system more developers should implement. But while sidequests are generally fun, missions are shorter battles that are often a bit too linear. In other Warriors games you're usually completing multiple objectives on large, sprawling maps with plenty of side areas, but here in Heroes they feel more like arenas that sometimes only span a few screens. Thankfully the bosses are more involved as a result, sometimes featuring flying enemies or multi-foe fights. I won't spoil them here but suffice to say they all have strategies and weak points to discover, and are sufficiently formidable. You'll need to actually switch between party members and think tactically. Alongside of the more bite-sized quest structure though is a complete lack of multiplayer. Yep, that's right -- there's no split-screen or online play of any kind. 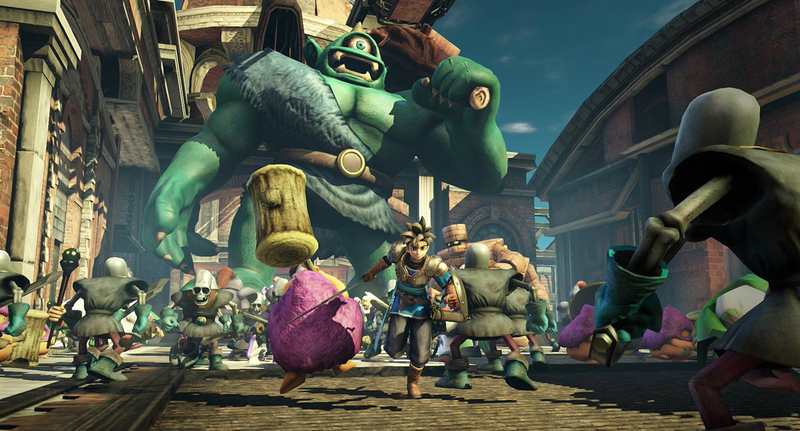 Whereas it was easy to introduce people into the world of Zelda with some co-op Hyrule Warriors sessions, Heroes is definitely a tougher sell, as the vast majority of Warriors games are shipped with heavy multiplayer elements for a reason. It does have all of the current DLC from Japan bundled in though, which is a plus. 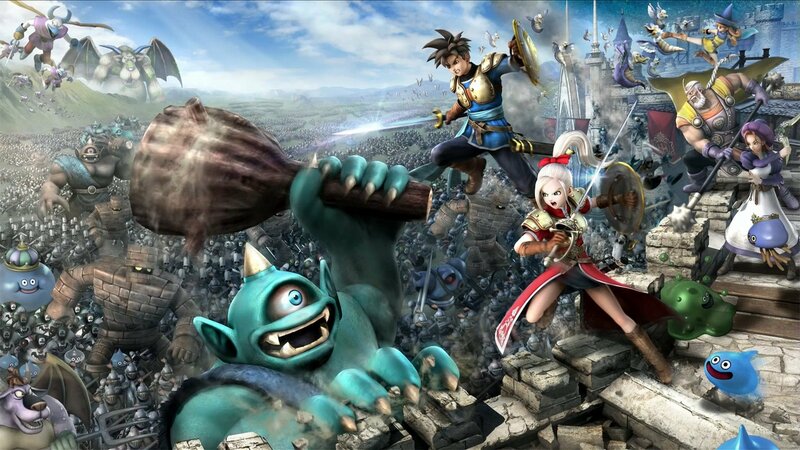 Dragon Quest Heroes almost feels like a fully-fledged action RPG, but there are a few things holding it back from greatness. In the end though it still has its charms, alongside of a beautiful art style and a buttery smooth framerate. If you really dig Warriors games and can go at it solo, you'll likely enjoy it.